A's & Aces has been part of the in-school enrichment programming at both Arise Academy and Mildred Osborne Charter School, which together form the ARISE Schools charter network. 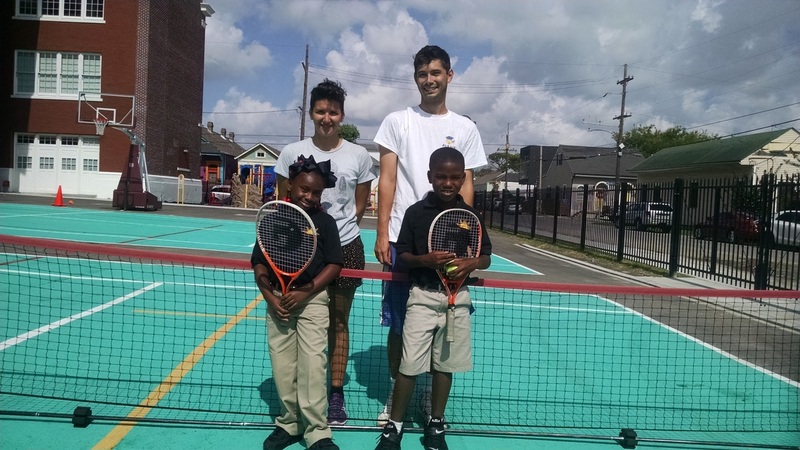 Our staff has taught physical literacy, QuickStart Tennis (age 8 under Red Ball Tennis format), on ARISE Academy's school yard tennis courts, and in Mildred Osborne's new gym. Arise Academy's two full-size tennis courts speak to the value the school places on the opportunity for its students to experience the sport. 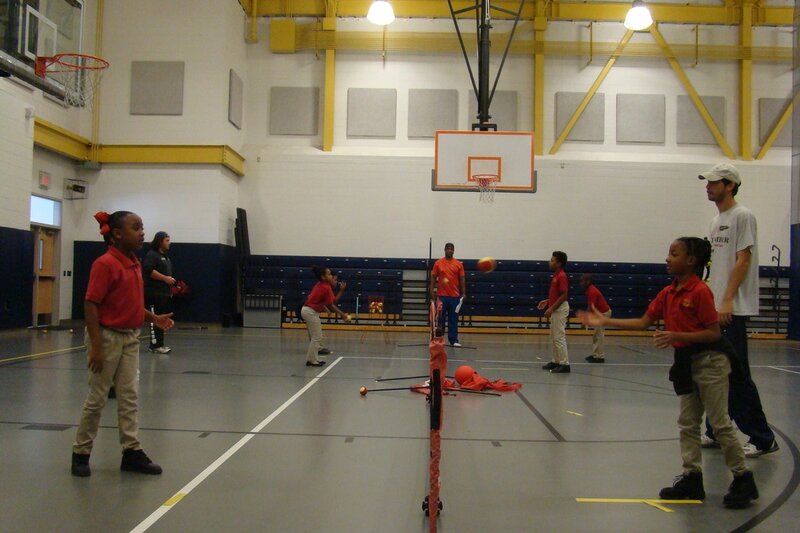 Partnering schools with gyms provide half of that space so A's & Aces staff can quickly create regulation 8 & under format mini-courts with pop-up nets. Specially designed, child-sized equipment (smaller, lighter rackets, and decompressed, larger tennis balls) make QuickStart Tennis. Lake Forest understands that kids love sports because of they have fun, and the benefits gained enhance their chances for success. The school wants to supplement its excellent academic program with athletics to accomplish its overall goal of producing global, productive and competitive citizens. 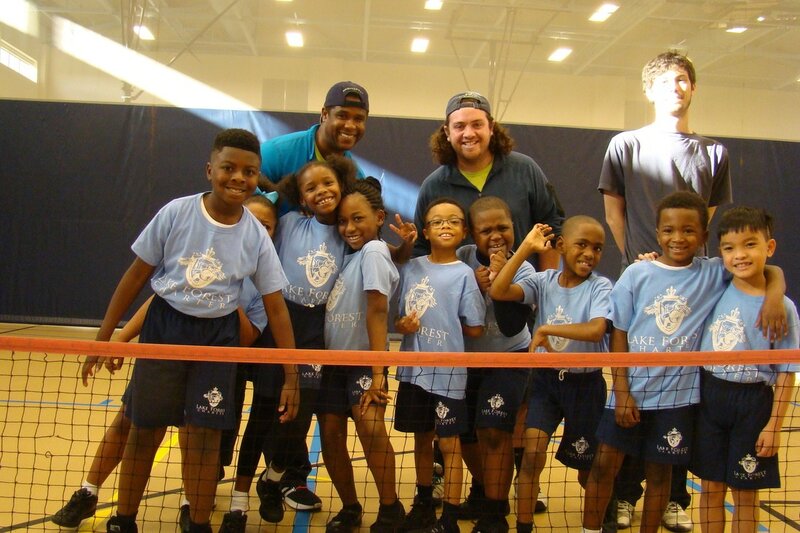 ​A's & Aces has partnered with Hynes since 2008 with after-school, summer camp, and in-school programming. Over the years, a growing number of student-athletes became year-round, tournament players, and formed the nucleus of a middle-school tennis team that, in 2016, team won the boys Metro League Team Championship. 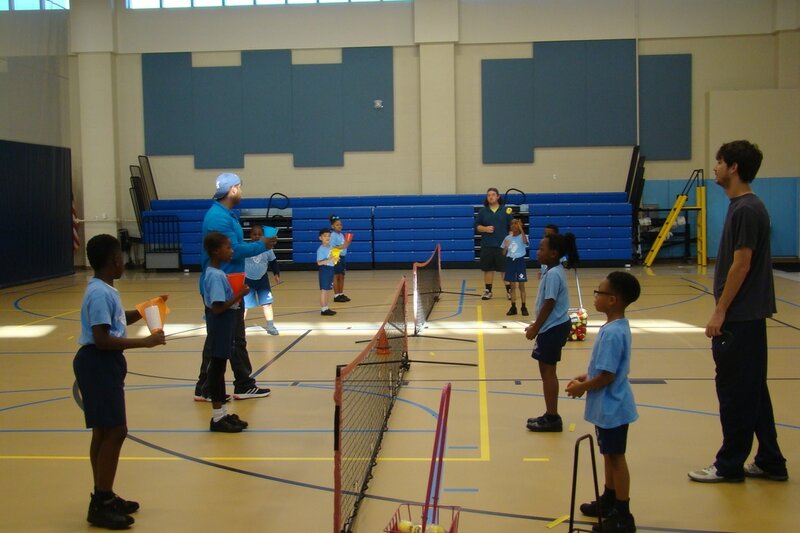 A’s & Aces provides Coghill's students (grades 2nd - 3rd) with physical literacy twice weekly during PE classes to build their motor skills, physical fitness, and introduce them to the basics of tennis in their gymnasium. Coaches use toss tennis and Tennis FUNdamentals within the 8 & Under tennis format and incorporate cross-training into the tennis activities.